Living in London City my whole life you probably assume that I know my way around. You however would be very wrong, this woman doesn't really have a sense of direction. I am a Foodie I can sniff out a good restaurant but map orientation is not my forte. If I have been somewhere before then there is every hope that I will find it again. However, if it is somewhere new then the chances of me finding it first time are slim to none. Yes I have heard of Google maps and even with this I can go the wrong way. So when I got an email from the lovely Melanie from Sunny in London, asking me to join her for Saturday lunch, it was a resounding yes. There is nothing better than sharing your love of food with another foodie. But I knew one thing I would have to arrive early to find the restaurant. The restaurant itself is a short distance from St.Paul's and Smithfield Market. Close to London Wall in London's financial district, tucked away down a side street between Moorgate and Liverpool street stations is Off The Wall Bar and Restaurant. This was the venue for our lunch date. 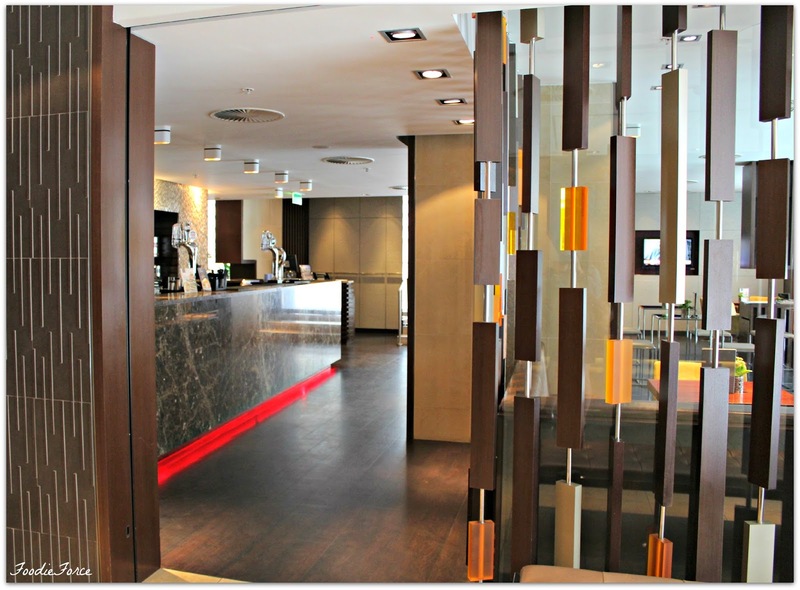 Off the Wall Restaurant is situated in the four star Apex Hotel offering a modern European menu. The restaurant is cleverly named after London Wall which was built by the Romans some think to defend the City. It is now the name of a section of road in London that runs part of the course of where the wall once stood. Now I should be honest I am always dubious of restaurants in hotels, mainly because you never know what your going to get. It is the place where unsuspecting guests have food that could either be wonderful or bad but either way they are unlikely to ever eat their again. I have only had a few exceptions to this rule. The Off The Wall restaurant itself is wonderfully vibrant and colourful. After a quick catch up over a lovely glass of chilled wine, it was time for ordering. 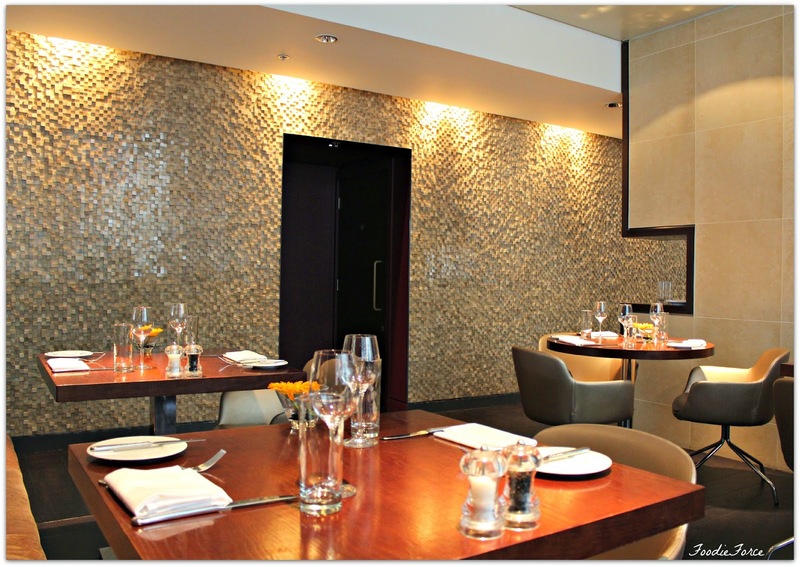 The A La Carte menu offers a two course lunch for £20 or three for £23.50 you can't go wrong. The menu had loads of food that I would have happily have eaten, but I opt for Pan-fried scallops, broccoli purée, crispy bacon (£8.95). Scallops are a favourite of mine. Whilst the scallops were a little bit small, the bacon and broccoli purée was a nice combination. 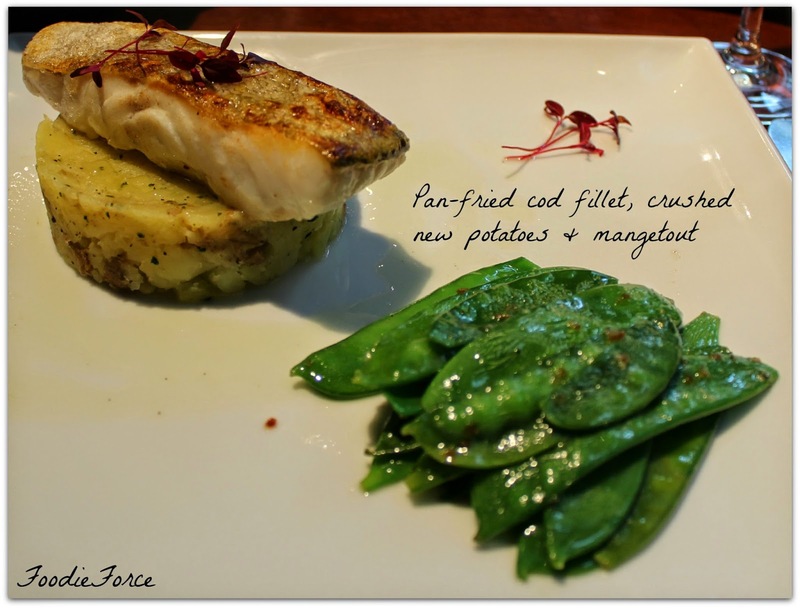 For my main I opted for pan-fried cod fillet, crushed new potatoes, mangetout and lemon oil (£16.95). 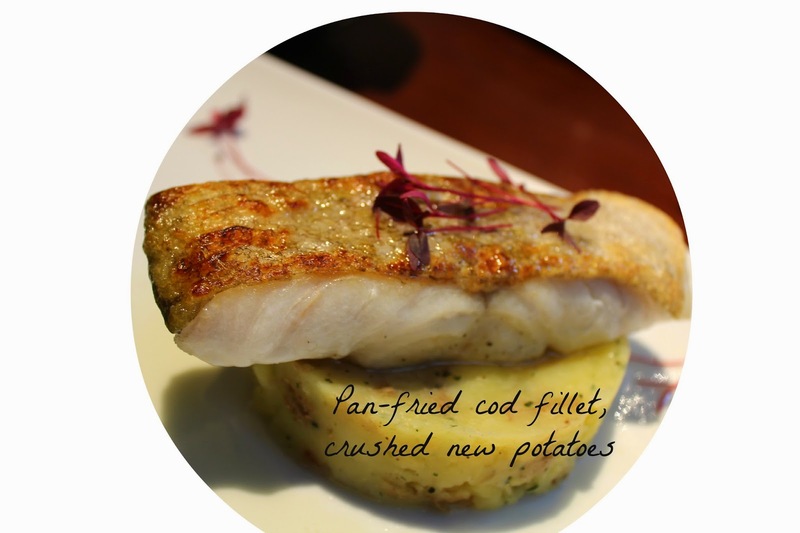 Now the cod was wonderfully cooked, crispy skin with the fish lovely and moist. The mangetout with lemon oil was a great combination. 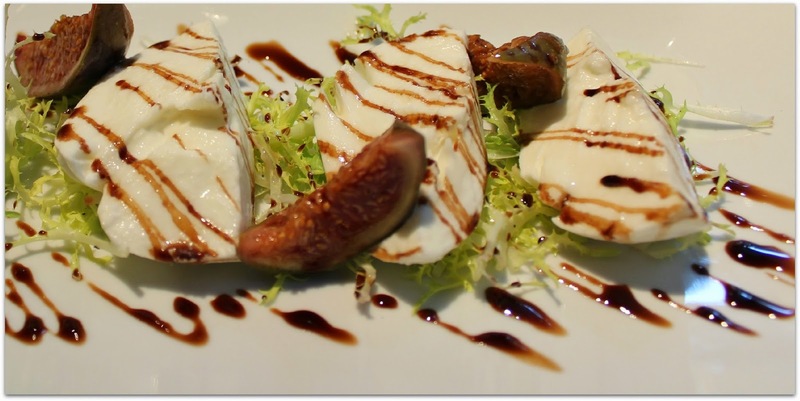 Melanie opted for Buffalo mozarella with fig salad and aged balsamic vinegar (£7.25). This Melanie assured me was delicious. 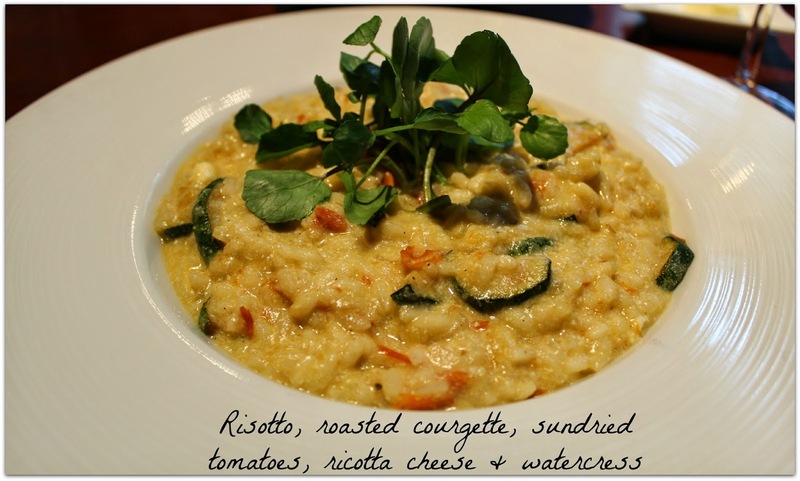 For her main Melanie opted for the risotto, roasted courgette, sun dried tomatoes, ricotta cheese and watercress (£15.50). Melanie commented on the wonderful flavour that the risotto had. The addition of the roasted tomatoes and ricotta cheese sounded delicious. We had a wonderful meal catching up sharing our love for blogging and London, all in the wonderful surroundings of a great restaurant. 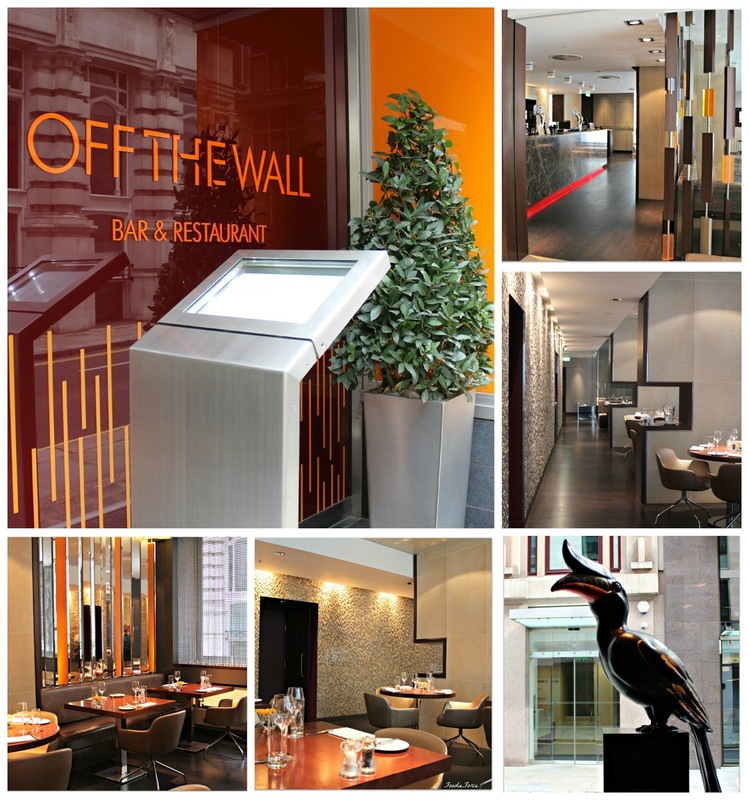 Off The Wall restaurant is a hidden gem and given its central location perfect for a spot of lunch after some shopping or sightseeing. slightly embarrassingly for me navigates like a local despite her Florida roots. 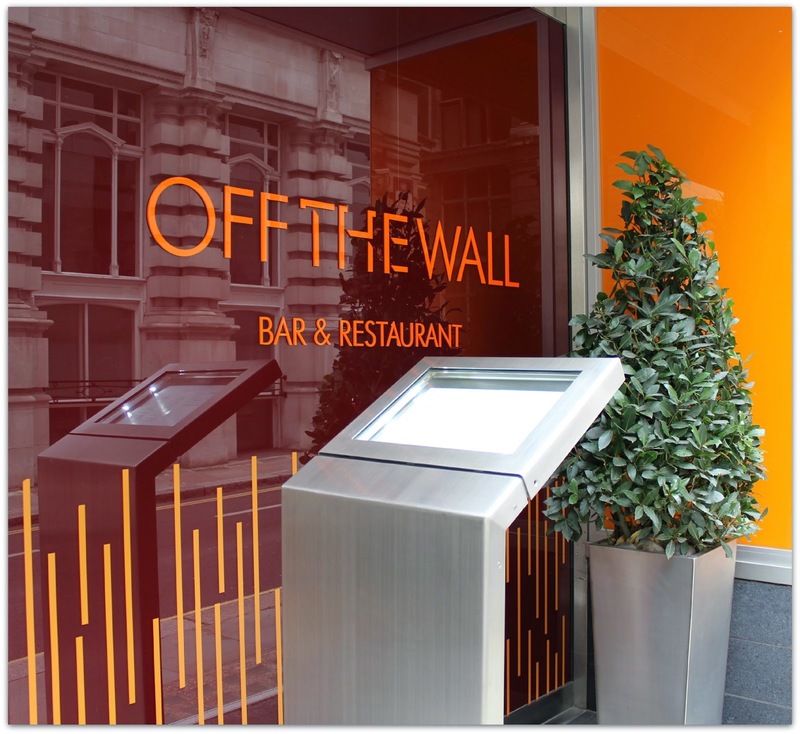 Fancy trying Off The Wall bar and restaurant for yourself you can check out their menu here. What's your favourite meal in a restaurant? 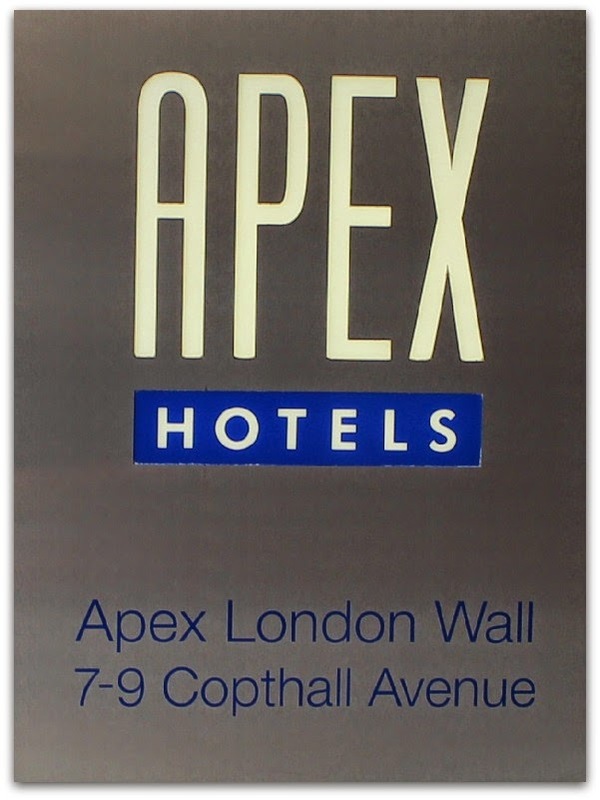 I was kindly a guest of the Apex Hotel, however, this in no way affected my review of the restaurant which had wonderful food. Thanks Melanie for inviting me and for the wonderful company. Great review my darling. I have to visit it as I am not based away from this restaurant. Don't worry Lucy. I'm terrible with finding my way around too. I tend to get lost very easily. The Google Maps helps with the street view some. I try to memorize the picture of the surroundings as best I could before I venture out. The signs pointing in all different directions made me laugh. That is how I feel sometimes. It seems like you had a nice time out with fellow foodie. The risotto would have been my favorite. I love risotto. OMG you are like me, I'm awful with directions and maps! Luckily Simon is amazing so when he's with me I just follow him but when he's not there I'm like ARGGHHHHH!!! I've not been to London since October last year but I now have two trips planned - one in November and one in December so I'm going to have to start making a little list of foodie places to visit :) I've read about so many good places it's just remembering what they all are! Wow this place looks lovely, and just a stone's throw away from where I used to work in Aldgate! I know what you mean about hotel restaurants, they can be a little bland but the food here looks fab and Melanie is always wonderful company!! I love the sound of those scollops! The scallops were delicious, I would have liked them bigger but that's personal choice. What a lovely clean modern restaurant! ...& the food looks divine, love your starter and meal choice, we would have chosen the same starter for sure. We're hopefully coming up to London next month, perhaps we can meet you for lunch...we know you know the best places :-) We'll DM you.